Last week, we talked about everything you need to take care of your exterior commercial lighting needs. This week, we’re staying on a similar theme and bringing you a comprehensive guide to exterior residential lighting. 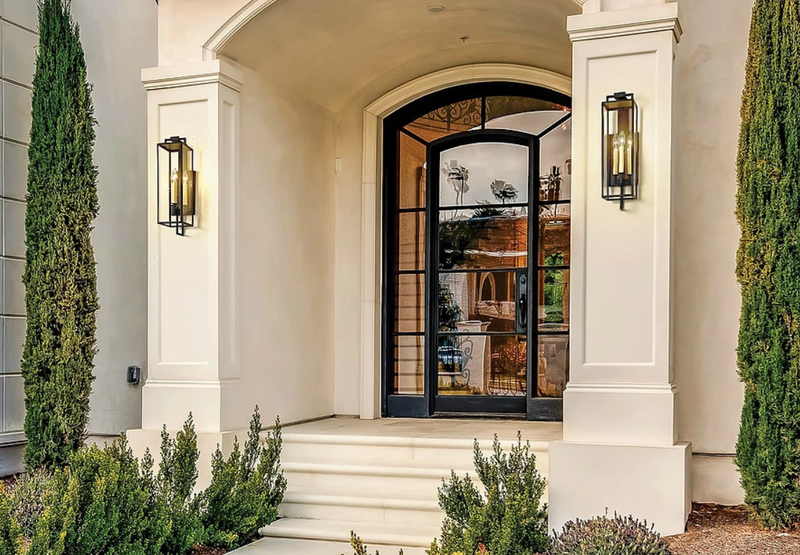 Exterior lighting provides security and functionality, but it can also create a lovely atmosphere and add to the décor of your home and your yard space. We rep some fantastic lines that offer so much more than lighting – they can take your decor to a whole new level, whether you’re looking for a piece for your front door or want to deck out your backyard. Keep reading for our favourite exterior lighting lines and products. Not sure where to begin or how to choose the right products for your space? No problem! Give us a call, and we’ll walk you through it all – we have an LC Lighting Designer on staff who can offer (free!) lighting design assistance on all of our products! 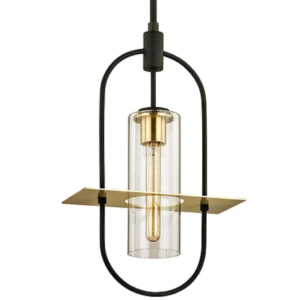 Troy Lighting prides itself on creating high quality pieces that make a statement. 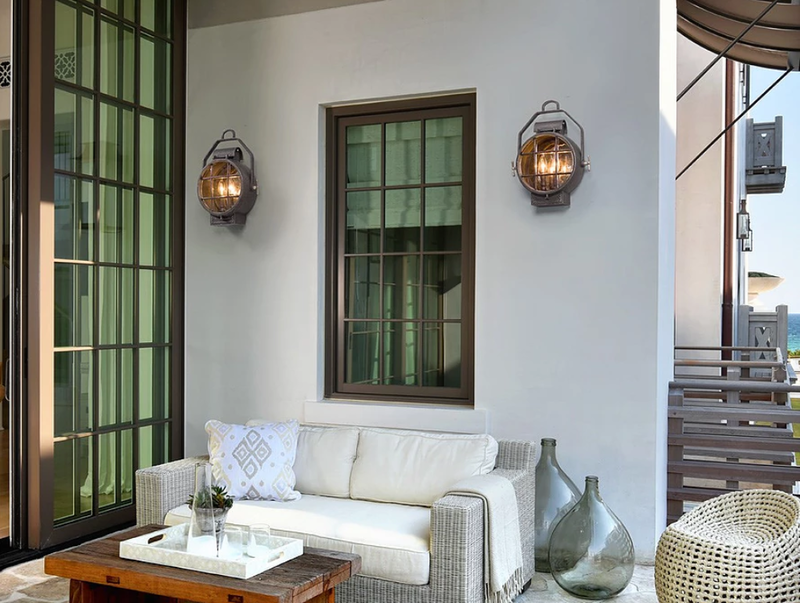 Their stunning exterior collection will really elevate your outdoor space, and they offer a wide range of products from posts to wall sconces. 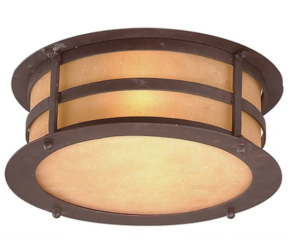 Perfect for creating a welcoming ambiance to your front or back porch, Troy Lighting’s flush mounts bring an interior feel outside. Create a backyard oasis with Troy’s one of a kind hanging light fixtures. Available in a variety of styles and sizes, you can stick with one style or mix and match for a look that’s all your own. 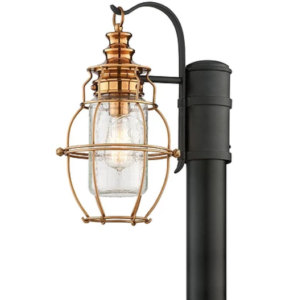 Perfect for lining a walk way our illuminating an outdoor seating area, Troy’s lamp post styles range from modern to vintage and instantly up your space’s level of sophistication. 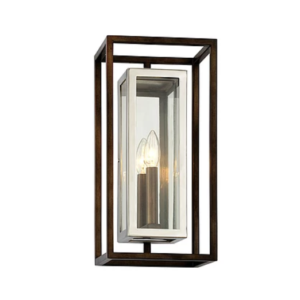 The most popular option for outdoor lighting, wall sconces illuminate your entrances while adding to the decor. We’re major fans of the quality and innovation that Sonneman pours into their products- they are truly a cut above, and one of our favourite lines is their Inside Out collection. As the name suggests, these products were designed to work both interiorly and exteriorly. With over 40 product families to chose from, the Inside Out collection offers plenty of options to suit every need. The overall theme, however, is a sleek, modern look that works as well in your living room as it does in your backyard, and the expert craftsmanship and materials mean the fixtures are more durable than most other exterior lines. 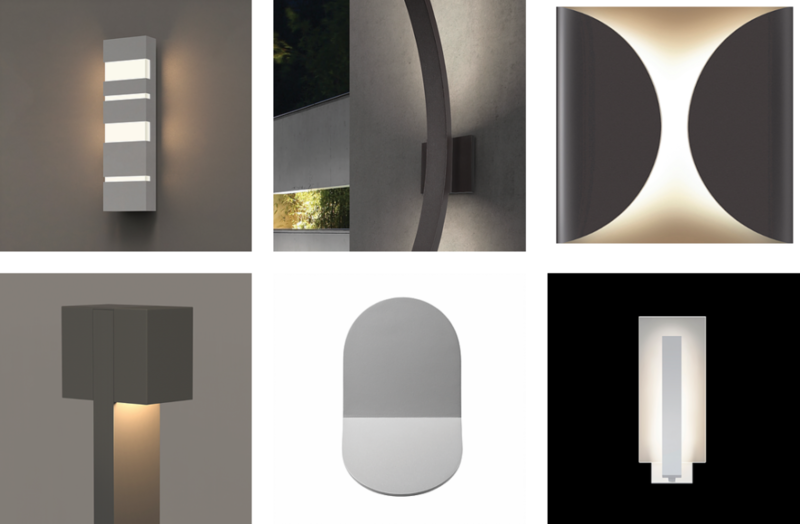 The Inside Out collection includes wall sconces, flush mounts, and lamp posts. You can shop the entire collection here. Sometimes, you aren’t looking for style. You just need a great quality product for functionality and home security. And this is where RC Lighting comes in. 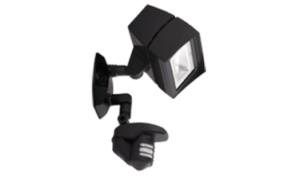 While their outdoor line primarily focuses on commercial lighting, they offer two sensor lights that are perfect for residential homes. The Smart Bullet Flood features two adjustable 12W LED floodlights and comes with a sensor with 180° detection pattern at up to 30 ft. 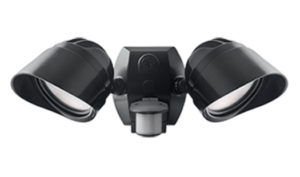 The LFFLOOD provides motion detection in both a 180° outward pattern as well as underneath with a full 360°. It also features an evening timer mode, which turns the light on for a preset amount of time after sunset.